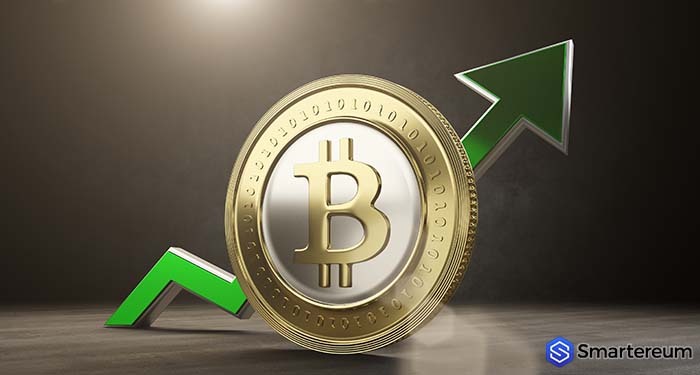 Bitcoin (BTC) Price Is Gradually Consolidating Higher – Can It Correct Over $6,500? The value of Bitcoin (BTC) is steadily and slowly recovering over the $6,100 mark against the US dollar. The value of the digital currency drastically declined below the $6,500 mark and found support close to the $6k mark. However, the digital currency is presently attempting an upward correction, with resistance close to the $6,500 mark. At the time of writing, Bitcoin (BTC) is trading at $6,320 after amassing gains of more than 4 percent over the past twenty-four hours. The market cap of the digital currency has also increased to $108.70 billion with a trading volume of $3.94 billion over the past twenty-four hours. Over the past week, Bitcoin (BTC) saw a significant loss in its value against the US dollar, as it declined from its weekly high of $7,200. The digital currency declined and broke several support levels such as $7k, $6,830. $6,500, and $6,200. The digital currency even tested the support level at $6k before buyers showed up. The coin even formed a low close to the $5,982 mark before it started consolidating higher towards the $6,500 mark. The value of the coin broke the 23 percent Fibonacci retracement level of the previous swing from the high of $7,155 to the low of $5,982. Also, there was a break over the major bearish trendline with hurdle at $6,220. Nevertheless, the digital currency is steadily increasing but it is capped on the upside at $6,500. The 38.2 percent Fibonacci retracement level of the previous swing from the high of $7,155 to the low of $5,982 also served as a hurdle. At the moment, the value of the digital currency is testing the broken trendline and finding bids over the $6,300 mark. The digital currency could recovery significantly if it breaks over its hurdle at the $6,500 mark.